Flower leis are used in Hawaii for many purposes–distinction, peace, sharing aloha, protection, decoration, and offerings. 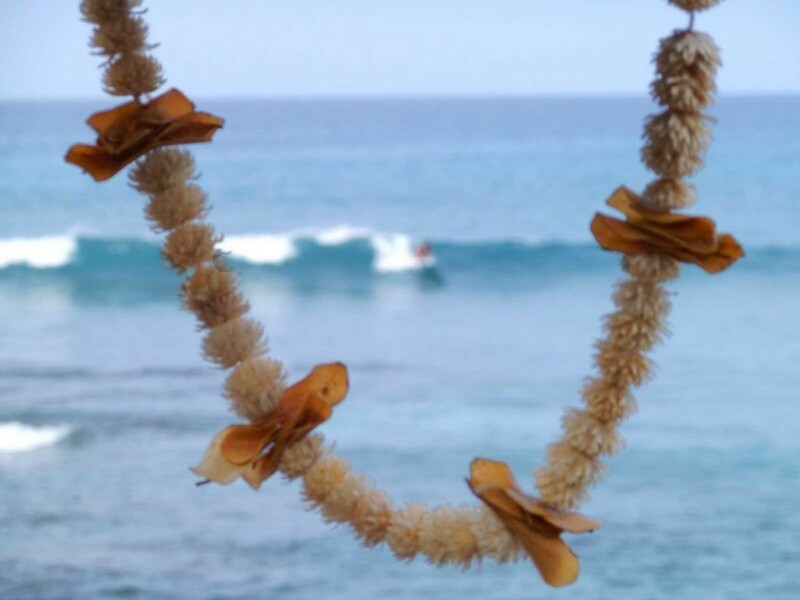 Here, a handmade white flower lei hangs from a branch overlooking a surf spot near Kailua-Kona on Hawaii’s Big Island as a surfer catches a wave in the background. It appears this lei was set here as an offering, although it is unclear whether that was for protection, thanks, or some other purpose. Lei were first introduced to Hawaii by early Polynesian voyagers from Tahiti. Their traditions became a part of Hawaii and have continued to today. 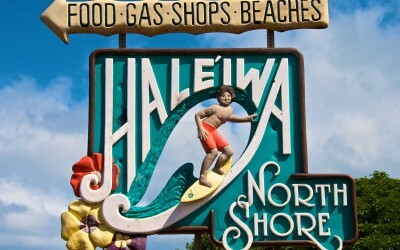 Lei became known around the world during the early 1900’s when Hawaii became a popular tourist destination.